Adelphi specialise in house clearance in Biggin Hill, delivering an all-round service for domestic and business customers. Having been in operation since 1972, we are the longest-standing house clearance company in the area.  As we are based in West Wickham, we are just a 14-minute drive from Biggin Hill, so will be able to schedule in your property clearance at a convenient time for you. We are the preferred choice of many Biggin Hill businesses, as they know they can count on us to provide a professional and cost-effective service. When working with homeowners and families who may be going through probate, we will deal with the situation sensitively and professionally. We want to make sure you can rely on us during difficult and stressful times. We pay for your contents. If you have valuables like antiques, we pay you a fair price for them. We understand the value of antiques. We can give an accurate valuation – Kevin Corneille, who runs Adelphi, has a history in antiques dealing. Our prices vary according to the property. We will visit a property to give an individual valuation. There are no set fees or percentage costs with us. What items do we take? We will clear out all drawers and cupboards. All we leave behind are carpets, curtains, fixtures and fittings. Any personal paperwork will be handed over to the owners upon completion. If we complete a full house clearance, we can also take stairlifts free of charge. Why choose Adelphi House Clearance? We always give you fair prices. Our team will carry out a valuation and pay you for any valuable contents. This helps us keep our prices low – we don’t charge a set amount or a percentage fee like many house clearance companies. We will reuse and recycle wherever possible. We are fully licensed by Environment Agency and use the local recycling sites on the main road at Biggin Hill. We use our local knowledge. We know the area of Biggin Hill well and have connections with many local charity shops and antiques dealers. This helps us to reuse items and make sure your contents go to a good home. We work closely with Cancer Research UK and will often take items to their charity shops. Contact Adelphi House Clearance and arrange a valuation visit. Our reliable team will be on hand to take your call. Please phone us on 020 8777 4440. Professional house clearance services in Bromley. Our removal experts have experience in clearing full houses, flats, garages and sheds.